In the first bowl, combine chia seeds, coconut flakes, honey(I used about a teaspoon), and coconut milk. Allow to sit while you prepare the oats. 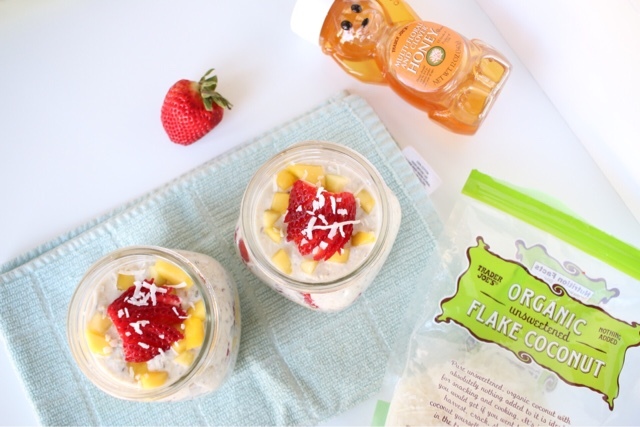 In a separate bowl, add almond milk, oats, and more honey to taste. 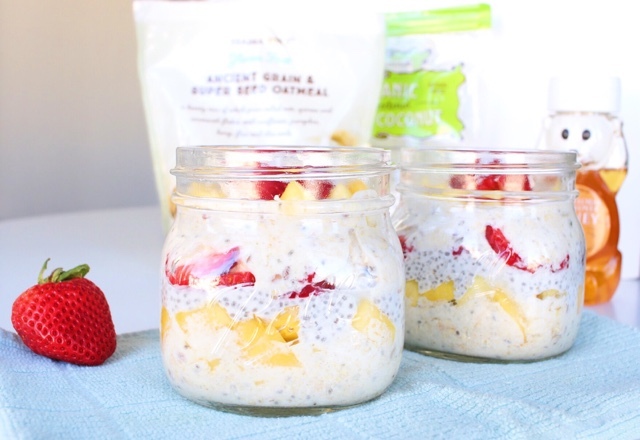 Assemble with a layer of oats on the bottom followed by fruit, the chia-coconut mixture, more fruit, and the rest of the oats. 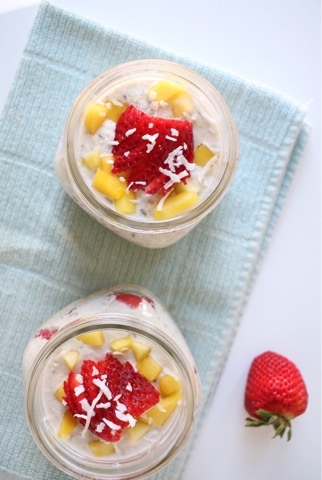 Top with extra fruit and a sprinkling of shredded coconut. Allow to sit in the fridge at least 3 hours or overnight to soften. Agreed! They're my go-to in these upcoming warmer months. Thanks for checking out the blog!